Toss the ball around or learn some new skills. Here you can do it all. 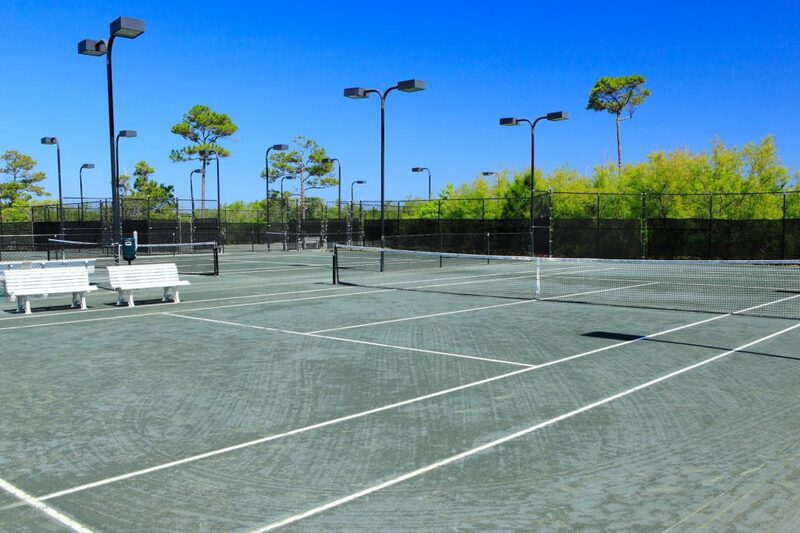 Eight lighted Rubico clay tennis courts are open nightly, giving you the option to enjoy a spirited match or just a casual one with your family, day or night. 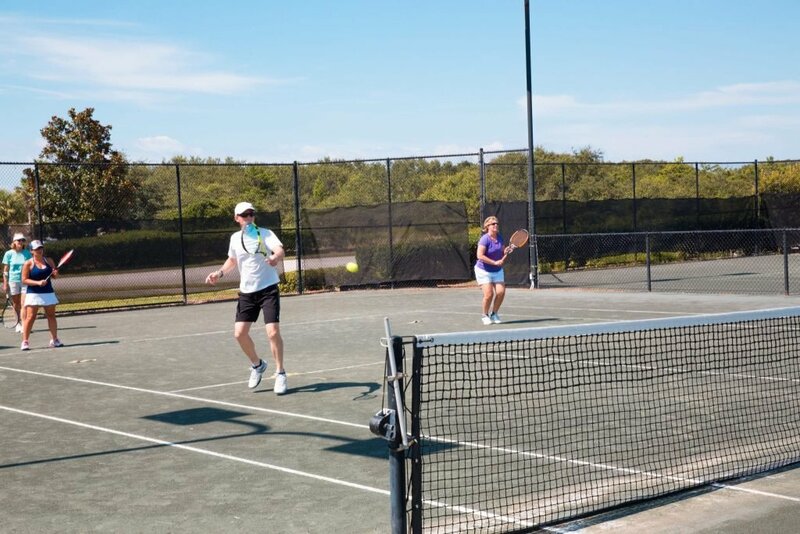 If you want to brush up on your technique or learn some new skills, you can participate in one of our tennis clinics. 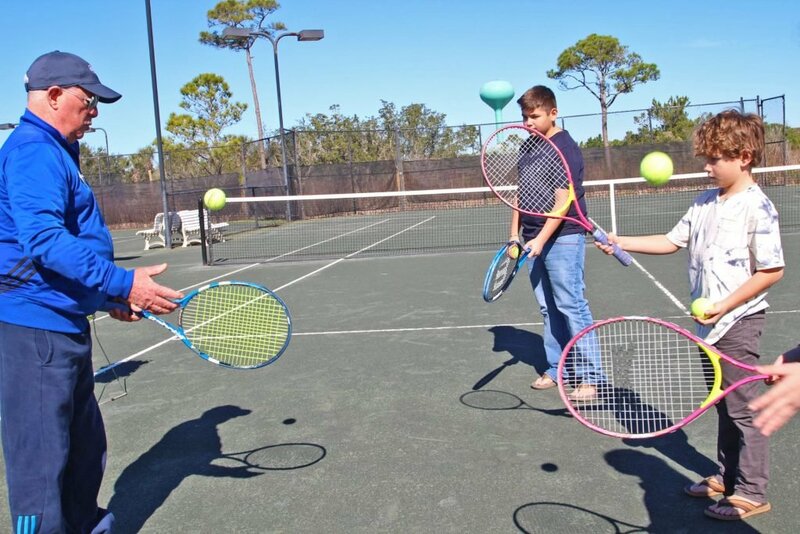 Clinics are open to any skill level and are offered for adults and children.